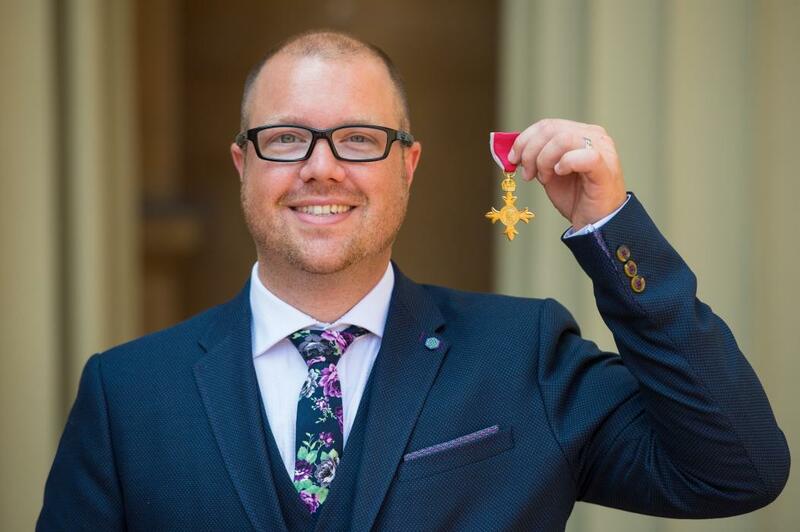 Paul has been working in the Lesbian, Gay, Bisexual and Transgender (LGBT) field for 15 years and is now the Chief Executive of the LGBT Consortium, which supports around 300 organisations across the United Kingdom. 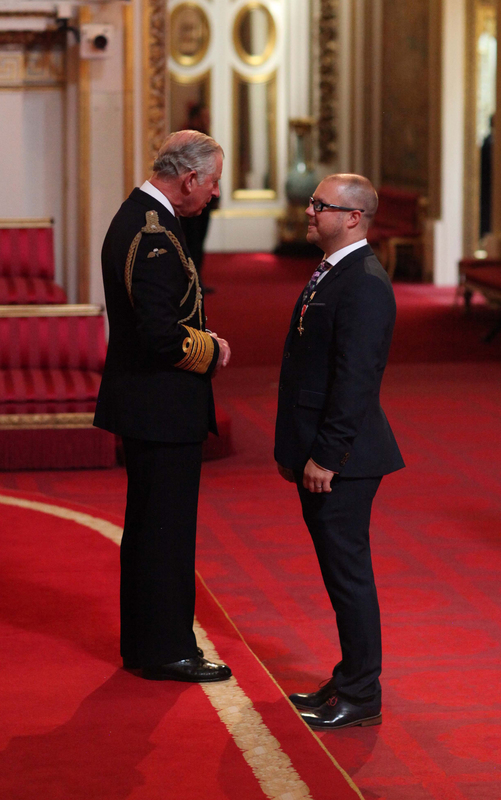 He received his OBE from The Prince of Wales in recognition of his services to LGBT communities. I spend a lot of my time ensuring that grassroots LGBT organisations, those working in local communities and working with individuals in need, can have their voices heard at a national level. It is an absolute privilege to support organisations which otherwise might not have the opportunity to shape the future of services for LGBT people. It was one of the best days of my life, hands down. I don’t think I’ve ever smiled so much. How did you feel when you found out you had been awarded an OBE? It was one of those moments in life when a whole mix of emotions washes over you and you don’t know which one to take notice of first—disbelief, elation, pride, shock—you name it and I think I was feeling it. I counted down the days to the official publication of the honours list so I could finally be assured it was real! I feel so incredibly lucky and humble to be recognised for something that I have a real passion for. What does having an OBE mean to you? I don’t see this as something that just belongs to me. I am one part of a very large jigsaw and I couldn’t do what I do without my small but very dedicated team around me, and of course without all the LGBT organisations across the country which are doing amazing things every day to support a diverse range of LGBT people. If I didn’t already have enough reasons to jump out of bed and do what I do every day, this has given me yet another one. This is something that I will carry with me for life and which will motivate me to do new things and hopefully support even more communities. How did you find the investiture? Looking back, the whole experience went by in a whirlwind but there were so many memories to take away from the day: the Palace in all its glory, meeting Prince Charles, being around so many amazing people, having photos taken by the press and being able to share it with two of the people I am closest to. It was also wonderful to talk to so many other recipients about their own work and to learn about the huge diversity of honours recipients – it made the moment even more humbling. What did you speak to The Prince of Wales about? I told The Prince that we support 300 LGBT organisations across the country and he seemed surprised that there were so many. I told him that there are actually probably around 10 times as many! We also spoke about the importance of equal marriage for our communities and how it was a big step for LGBT people, but that there is also still much more to do to help every LGBT person to live their life free from prejudice and discrimination. Do you think it's important that people who work for the LGBT community are recognised in this way? Absolutely! It sends a very powerful message that LGBT people and communities play a strong part in society and I hope in some way it might help others to be empowered to achieve what they want. We all want a society where all issues of diversity and inclusion can be talked about without fear of prejudice, discrimination or hatred, and things like this are a great way of usualising the issues. What's next for you now you have an OBE? Back to the day job! There are still so many things left to do for LGBT communities and if having my OBE helps me to open new doors then even better. There are real opportunities for our communities at the moment and we have to make sure we grab on to each and every one of them. I hope I can be part of that for many years to come. You can find out more about LGBT Consortium at www.lgbtconsortium.org.uk.